Konner is an Associate at StrategyCorp in the Management Consulting and Public Affairs practices, with a background in economic and public policy research. Konner’s work has supported the development of advocacy and operations strategies that have assisted clients across a variety of sectors, including energy, financial services, and education. Before joining StrategyCorp, Konner was a research assistant at the Institute of Fiscal Studies and Democracy at uOttawa, a leading public policy think-tank. At the IFSD, Konner’s work concentrated on Ontario’s history of expenditure review, Canada’s program spending on Indigenous and child welfare, and international parliamentary institutions. He had previously held successive internships at IBM where he helped target marketing strategies to public sector clients. Outside of work, Konner assists with fundraising and corporate outreach for a non-profit specializing in economic development in Indigenous communities. 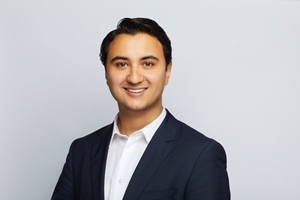 Konner is a graduate of the Bachelor of Commerce (Honours) program from the Smith School of Business at Queen’s University and also holds a Bachelor of Arts degree in economics.